1st Step presents a premium range of baby bibs in a variety of adorable colors and patterns. Crafted from premium quality cotton material with cute detailing to add the special touch. 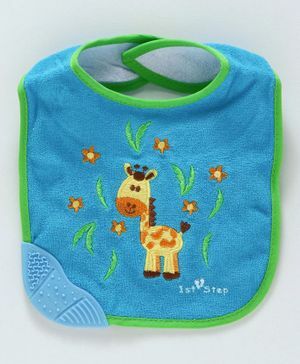 These practical and handy bibs help to prevent baby's clothes from any spills or stains. Velcro closure makes it easy to use. Your child can now devour all their favorite foods with enthusiasm and you need not worry about cleaning any stains!